U2 Don't Understand the Appeal of Neutral Milk Hotel's "Strange Hippie Stuff"
In the last couple of years, Jeff Mangum has thrilled indie fans by coming out of hiding and reuniting his band Neutral Milk Hotel for a lengthy string of tour dates. 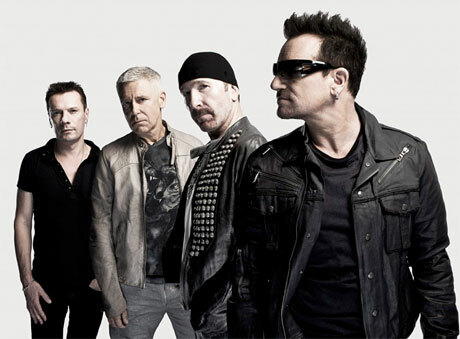 The group evidently haven't managed to impress U2, however, since guitarist the Edge has admitted that he doesn't under the appeal. Speaking with Rolling Stone [via Stereogum], the Edge spoke about his experience at this year's Coachella festival, and he had kind words for Cage the Elephant, Broken Bells, Skrillex, Pixies and Outkast. After all that positivity, however, here's what he had to say about Neutral Milk Hotel: "Some of the more strange hippie stuff wasn't that great. Neutral Milk Hotel, you know them? If you were sort of one of the faithful, you could sort of get excited about it. It didn't really have a universal appeal at all. And that might be its appeal." In other words, if you're one of the "faithful" who prefer In the Aeroplane over the Sea to Songs of Innocence then you're probably a "strange hippie." Sorry everyone!